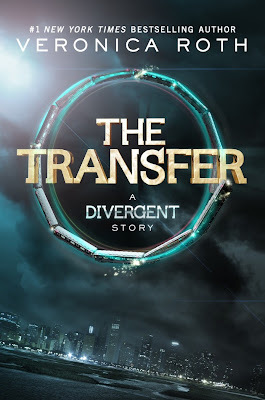 Official synopsis: "New York Times bestselling author David Levithan tells the based-on-true-events story of Harry and Craig, two 17-year-olds who are about to take part in a 32-hour marathon of kissing to set a new Guinness World Record—all of which is narrated by a Greek Chorus of the generation of gay men lost to AIDS. While the two increasingly dehydrated and sleep-deprived boys are locking lips, they become a focal point in the lives of other teen boys dealing with languishing long-term relationships, coming out, navigating gender identity, and falling deeper into the digital rabbit hole of gay hookup sites—all while the kissing former couple tries to figure out their own feelings for each other." I've been very excited and also very anxious to read Two Boys Kissing for quite a while now. 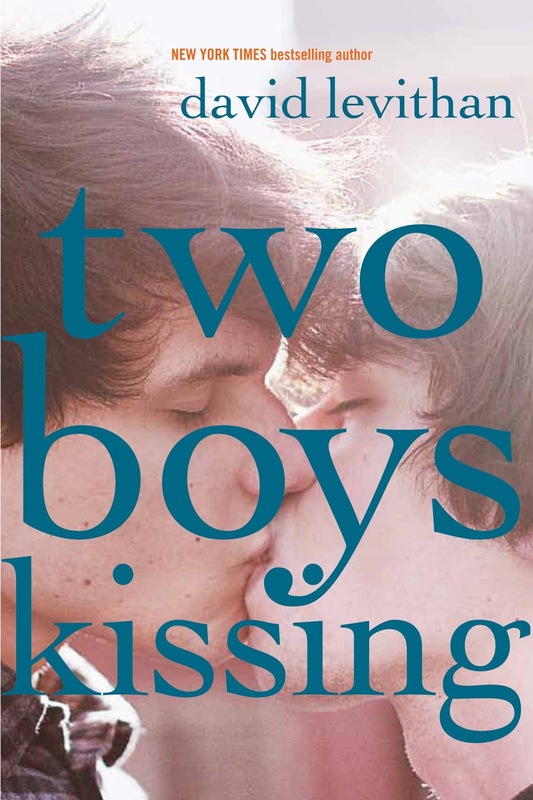 The premise sounds amazing, and correct me if I am wrong but this is the first time there have been, well... two boys kissing on a book cover for YA literature? And for me that marks something massive, something so exciting and liberating: acceptance. And I like that a lot! But I have also been anxious because I really didn't like Levithan's début novel which also featured young gay characters, Boy Meets Boy. In fact, I disliked it a lot. And I mean a lot. I just couldn't gel with it. The characters. The style. The stereotypical nature of the characters that made me a little scared because I wasn't like them. But I have to be honest that all those feelings of anxiety disappeared as soon as I started to read the book. The narrative is very strange to start with. It's written in a Greek chorus, as the synopsis confirms, and it's all the men who have died from AIDs over the years, looking down on our generation, commenting on how free we are compared to how they had to live their lives as young gay men and so on. It did take a good fifty pages for me to really get into the narrative and I did feel at the start as if it was going to annoy me, but then for some reason it just clicked and it makes the book all the more poignant and thoughtful. We meet a host of characters in Two Boys Kissing covering the LGBT spectrum. This is something that I think the narrative lends itself to very well. We get to see all views, that of the narrators and the characters themselves - it kind of gives the characters a more 3D feel and I liked this. There are Ryan and Avery who meet for the first time and all is not as it seems at first. There's Neil and Peter who are both in an established relationship. There's Cooper who takes advantage of the digital age to become whoever he wants to be, talking to men all across the country in a way he'd never speak to them if they were face to face, he's struggling to come to terms with his sexuality and his parents finding out. And then there are Craig and Harry, the central characters the... well... the two boys kissing. They used to go out but don't any more but they want to set a world record and raise awareness for the gay community so decide to go for it. All of the characters have different aspects to them that I feel, personally, could relate to anyone. I saw myself in Cooper, sometimes hating the fact that I'm gay and just wishing that I wasn't, scared of the whole coming out process and consequences. And then I'd find myself relating to Ryan and Avery, in the whole attraction bubble that comes when you first see a guy you like. And so on. There are so many parts to this novel although it is only a 200 page read, it sure does pack a punch. "This is the power of a kiss: It does not have the power to kill you. But it has the power to bring you to life." Sigh. It just made me feel all gooey inside and I just loved that sentence. Two Boys Kissing is, I feel, a very important book. We're at a crossroads when it comes to equality and the scales are tipping in the right direction. For me the book highlights the fact that we are normal people, just like everyone else and it's very thought provoking. I think that every LGBT teen or young adult or even adult should read this book. If you're struggling to come to terms with things - kind of like myself - or if you just want to get a bit of perspective you should read it. But I also think that straight teens, young adults and so on should read it too. It's very easy for people to write off gay people and think they know them before they actually do. Just the word gay brings up an idea of a person and it's wrong. A person shouldn't be judged upon their sexuality, just as they shouldn't their colour, size or anything else for that matter - just the one thing that counts, their personality. That's what it's all about and Two Boys Kissing showcases that brilliantly. I cannot express how thankful I am to David Levithan for this book. It has genuinely helped me and come at a time I needed it most. I no longer feel so much like an alien and it was an entertaining, addictive and downright emotional read to boot. I love it and I plan to re-read it again, and again, and again. At the moment you can't get the book in the UK. It is being published over here, by Egmont UK, but not until next June, so if you cannot wait that long just do what I did... BOOK DEPO! 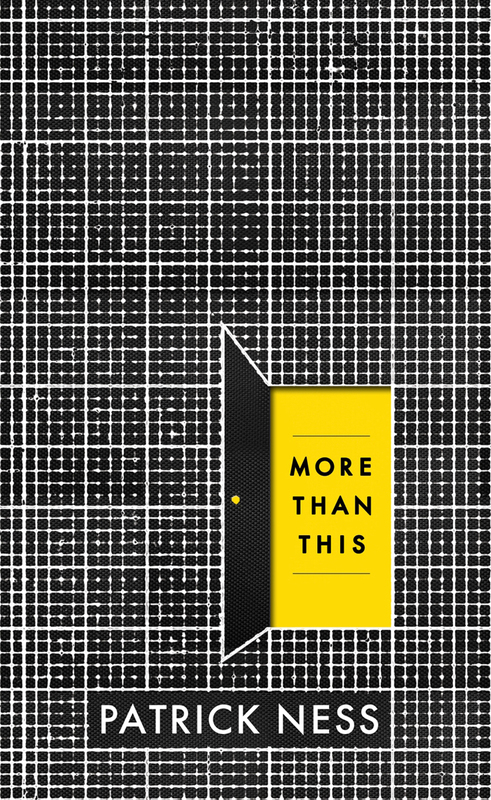 MoreThanThisBook.com is live now and you can check out the brilliant trailer for the book and even enter a competition to win a signed copy of the book and a Kindle Fire HD! I mean, who wouldn't want that?! Official synopsis: "A boy called Seth drowns, desperate and alone in his final moments, losing his life as the pounding sea claims him. But then he wakes. He is naked, thirsty, starving. But alive. How is that possible? He remembers dying, his bones breaking, his skull dashed upon the rocks. So how is he is here? And where is this place? It looks like the suburban English town where he lived as a child, before an unthinkable tragedy happened and his family moved to America. But the neighbourhood around his old house is overgrown, covered in dust and completely abandoned. What's going on? And why is it that whenever he closes his eyes, he falls prey to vivid, agonizing memories that seem more real than the world around him? 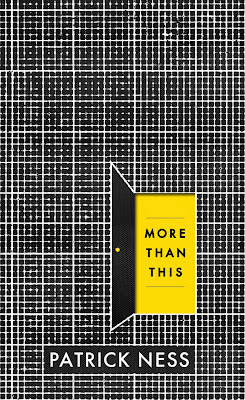 Seth begins a search for answers, hoping that he might not be alone, that this might not be the hell he fears it to be, that there might be more than just this..."
I tweeted a few days ago that my review for this book, More Than This by Patrick Ness, would be a personal affair and to a degree that it absolutely right. For this beautiful book has come in to my life at a time I myself have been asking some of the questions that 16-year-old Seth Wearing has been asking himself. One prime example, is this all there is? Seth is a complicated guy. His whole life he's been made to feel guilty about an event that wasn't even really his fault and the consequences it had for his younger brother. He's always felt a bit out of sorts with his family, that maybe he doesn't fit in so well and that his parents resent him a little. Couple that with the fact that he's learning to come to terms with his sexuality and his feelings for Gudmund and his life is all a bit confusing. To be fair, I could kind of relate to him and see aspects of his life in my own. I sometimes feel out of place and have also had problems with accepting my own sexuality and reading Seth's experiences helped me and kind of made me feel a lot better about myself. For this I have to than Ness as I had been having a bit of a rough time of it and seeing it there in front of me, being told it's okay really helped. I have to say the start of this book is stunning. Ness said way back when the book was first announced that Seth would die in the first few pages. The first chapter itself is so captivating as he drowns, just the way its written and the description. A few sentences made me wince with pain as I tried to imagine what Seth was going through. And then he wakes up. The book relies heavily on confusion and for a good part of the book you're just as confused as Seth is. Wondering what is going on. Why. How. And what for. Every time something happens you kind of have to second guess and you never guess right. It's a very unpredictable read and that's something I feel only makes it a stronger read. The fact that anything could happen, and it truly feels that way, only adds to the excitement. It is a bit of a mind bender though. After reading the last page it took me a little while to just calm down and try and process it all. To try and sum up this book is both hard to do and very spoilery and this book is one that should definitely be read in one go with no interruptions so nothing can be spoilt. There is just so much that goes on from Seth, to the world that he finds himself in - the village he grew up in as a kid before moving to America - and the coffins! I just can't even begin to try. It's a beautiful, sometimes dark, read that has been written so beautifully and with such obvious care that you cannot help but fall in love with it. It's one of my top reads of the year and as the year draws nearer to the end I am wondering what my top read of the year is going to be, and this book is definitely a contender. It's just so good. I cannot thank Patrick Ness enough for writing it. And the cover! Let's just take a second to talk about the cover. It's perfect. So cool and it looks amazing when you've actually got the book in front of you. The way the door is cut out it just one of those little things that make me love the design of a book even more. Bravo Walker! But yes, to conclude... Just go and get this book. It's 400 pages of pure brilliance and should not be missed! I just wish there was a sequel because the ending just begs for one! My thanks to Walker Books for my review copy!